Learning how to apply essential oils topically is one of the most confusing parts of using essential oils. 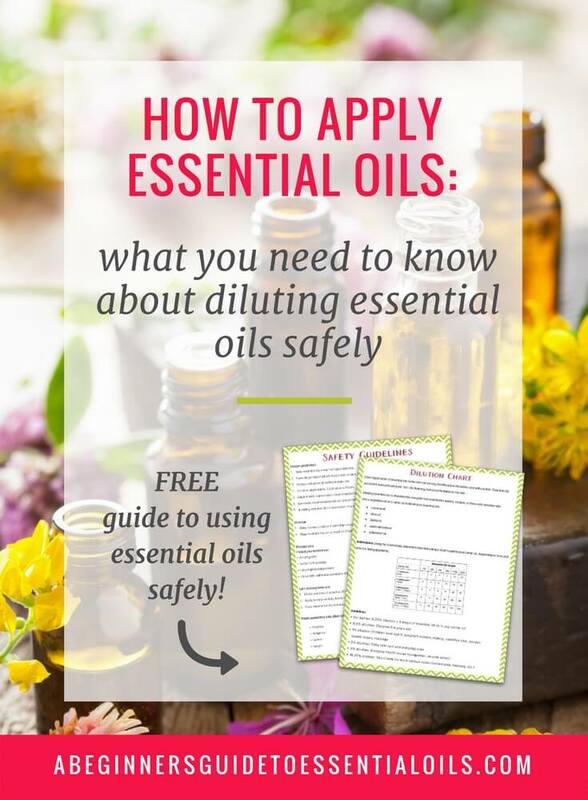 Dilutions... carrier oils... safety concerns -- it's a lot to figure out! This post looks at each aspect and breaks it all down into manageable steps. FYI - affiliate links below! Essential oils are easy to apply to the skin. Add a drop or two to your hand and apply directly to the skin. Seems simple, right? Well, there is one important thing to consider. Essential oils are strong natural substances and very easily absorbed throughout the body. It's important to remember that they are powerful and treat them accordingly -- and that means diluting them properly. Essential oils can very occasionally be applied 'neat' (meaning no dilution). But neat application is NOT recommended for everyday use. Some are considered "hot" oils (meaning they will feel very warm, even uncomfortably warm, to the skin) -- so you definitely want to get in the habit of properly diluting your oils. Dilution is especially important -- for babies, small children, animals, and those with sensitive skin. One important thing to note -- dilution does not change the efficacy of the oil -- it just allows you to use less essential oil per application. And, hey, dilution saves money! Why Essential Oils Don't Work? Dilution always begins with a carrier oil. Carrier oils are simply vegetable-based oils that you can use to dilute your essential oils. For general use (on an average adult), all you need to do is put a bit of carrier oil in your hand, add a few drops of essential oil and apply directly on the skin. Some oils may stain clothing so wait a few minutes for your skin is dry after the oil application before dressing. While I think dilution is important, it can be a bit tricky to know how much carrier oil you need. Basically, the smaller the person, the more you should dilute. Once you have figured out your dilution ratio (depending on who it is being applied to), it's simply a matter of combining the carrier oil and essential oil and applying directly to the area of concern. For new oils, be sure to check for reactions and don't apply more than two oils or blends at a time (in case of reaction). 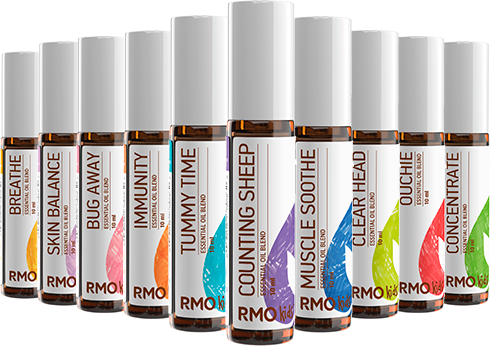 I LOVE the pre-diluted oils and blends from Rocky Mountain Oils! They have a line that's perfect for everyday use and a Kid's Line that's diluted for kids older than 2 years old. Best of all - no messy hands with those roller-ball tops! What if an essential oil causes a reaction? If an oil feels hot or causes any discomfort, add more carrier oil to dilute the oil. Don't try to wash it off with water. Apply photosensitive oil to skin that will not be exposed to the sun. If you develop a sensitization to an oil or you're allergic, start varying your usage - many essential oils can often be used for the same issue. So instead of depending on just one oil, use two or three different oils individually, diluting as needed. There are plenty of options for carrier oils (even the olive oil you keep in the kitchen cupboard will work in a pinch) but the best carrier oils are organic and unrefined. Applying essential oils topically doesn't have to be hard! Just remember to dilute your essential oils and remember - more isn't necessarily better. A few drops is really all you need.